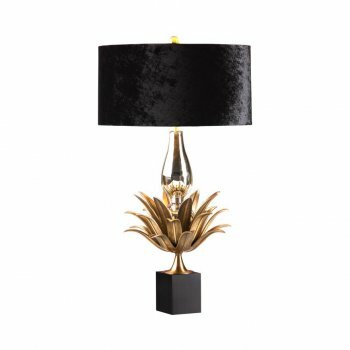 The Pineapple Lamp combines noble metals and mirror glass in a design that sends us back to the Hollywood trend of the 20s and 30s. 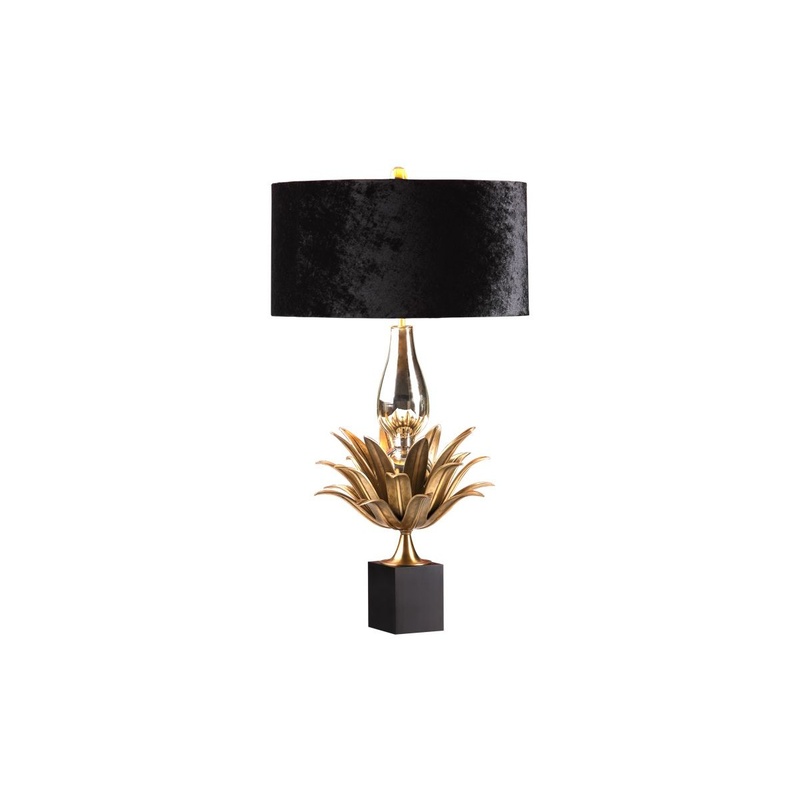 The stunning piece designed by Villa Lumi features dramatic black drum shade, the beautiful blown mirror glass and the gold pineapple leaves for an elegant, breathtaking design. A warm welcome glows from this sculpted pineapple table lamp. With an elegant and chic style, the gorgeous Designer Table Lamp makes a stylish statement. A classic Hollywood Regency Style and an alluring texture story create one of the fascinating table lamps we've seen in a while. Perfect in pairs, it looks great in living rooms and bedrooms.